An open house held in Prince Albert on Wednesday brought large crowds with questions about the Fort a la Corne Diamond project east of the city. The project director from Rio Tinto, Gary Hodgkinson, said the night was put together to give the community an opportunity to ask questions and for the company to be transparent about the present and future state of the project. 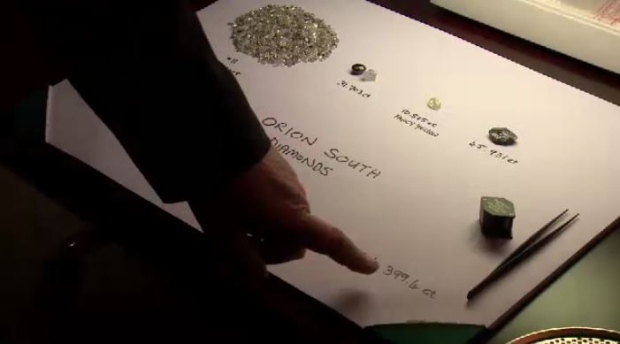 Hodgkinson said the long-awaited decision is complicated because of the kind of diamonds found at the site. The kimberlite diamonds are “by far the biggest that have ever been found in the world” according to Hodgkinson, but the grade is very low. If the project does move forward, Hodgkinson said it will bring many opportunities for labour and for local businesses to provide services. There will be another open house in Melfort Thursday night and one in Nipawin on Friday.